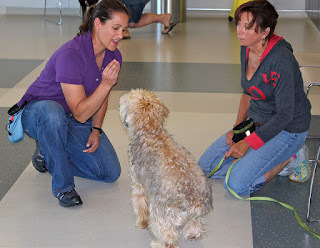 Obedience classes and training have many benefits. It's been quite a few years since I have had a dog in my home life. At the OHS, I am lucky to meet a lot of dogs, but a dog of my own just hasn't been compatible with my busy work and personal life. As demanding as she can be, my cat Gracie — the Siamese who must be obeyed — doesn't need as much time as the average dog. So, I have deferred adopting a dog to my retirement. My last dog was a cocker spaniel. While sweet, and by no means truly badly behaved, Jennie could be a handful. I didn't take her to obedience classes and I regret this now. Many OHS staff have outstandingly wonderful dogs. I realized over the years that the dogs didn't come that way. They are great dogs because our staff made an investment of time and effort in training and obedience. I have learned my lesson and when I finally bring a dog into my life again, I will spend the time to "create" a wonderful dog with classes. Most people want a dog with good manners and social skills when interacting with people, they want a dog that doesn't jump up, scare children, or pull on the leash, and can respond to at least simple commands. Classes and training between classes can to do this. Moreover, studies suggest that classes and training enhance the communication and bond between people and their dogs. The time spent has many rewards. Classes can save a dog's life. By learning to recall, you can prevent her from being hit by a car or attacked by wildlife or unknown dogs. 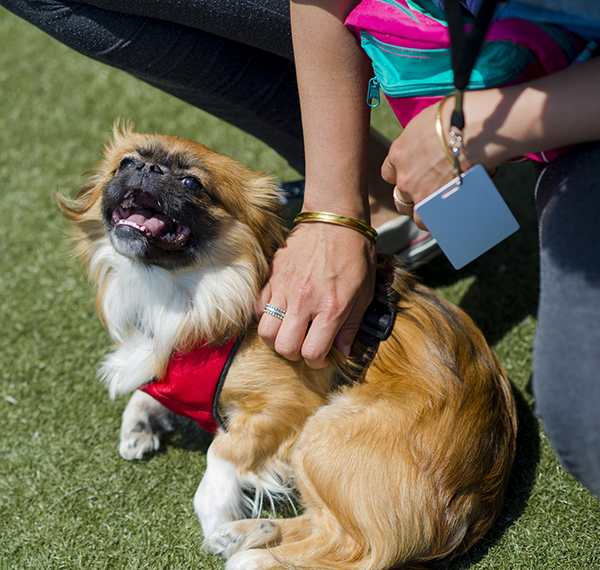 They can lessen or eliminate those behaviours that can make living with a dog a minor hell: destructiveness, excessive barking, and house soiling for example. I have learned my lesson; I have been converted. My next dog will be wonderful. She may not be born that way, but that's okay. I am going to help her become wonderful.